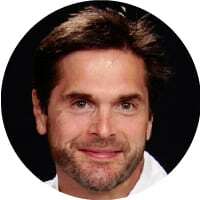 Mark Fidelman is the CEO for Fanatics Media, a Full Service Digital Marketing Agency with a focus on B2B and B2C Influencer marketing. Mark has been named a 2016 Top 20 influencer of CMOs by Forbes Magazine, a Top 25 Social Media Keynote Speaker by Inc Magazine, and a Huffington Post Top 50 Most Social CEO. Mark writes the Socialized and Mobilized Columnist on Forbes and is the author of the book SOCIALIZED! He also hosts a popular marketing YouTube channel at www.youtube.com/fanaticsmedia. Through a lot of trial and error. We like to test content with a small audience to gauge their response. Then, we look for the best results of our test and build a content marketing campaign around that content. It’s time-consuming, but ultimately it’s worth the extra investment to get superior results. We’ve seen one small tweak to the content significantly change its performance. Frankly, the best content I’ve created have been modeled after failing, then tweaking the content until it resonates with our target audience. ​Influencer created content – It’s been with us for thousands of years, it will be with us for thousands of years into the future. If an influencer has proven that their content resonates with an audience, then it’s a sure bet they know what they’re doing. Artificial intelligence – AI will be added to nearly every marketing tool, tactic and campaign. The amount of effort and tools needed to understand true marketing performance is difficult, AI will be used to make it easier for marketers to deploy their marketing dollars most effectively. Augmented reality – We’re still waiting for the Pokemon moment in AR Marketing, but when it comes, nearly every marketer will jump in to copy it. Mark Schaefer – Mark is not afraid to tell you what works or what doesn’t work even if it embarrasses him. Jay Baer – Baer’s podcast series is leading the way because each of his company’s podcasts delivers valuable, niche, B2B content. Several YouTubers like HellthyJunkfood and Philip DeFranco. Hubspot – For B2B organizations, they take a Buzzfeed type approach to content. Always experimenting and always improving. The benchmark for B2B companies to emulate. Oreo – For B2C companies, their creativity and content around a simple cookie is legendary. In terms of great content, and how to run a content marketing campaign, B2C companies will learn a lot by following them on their social channels. Video, speaking opportunities and webinars.